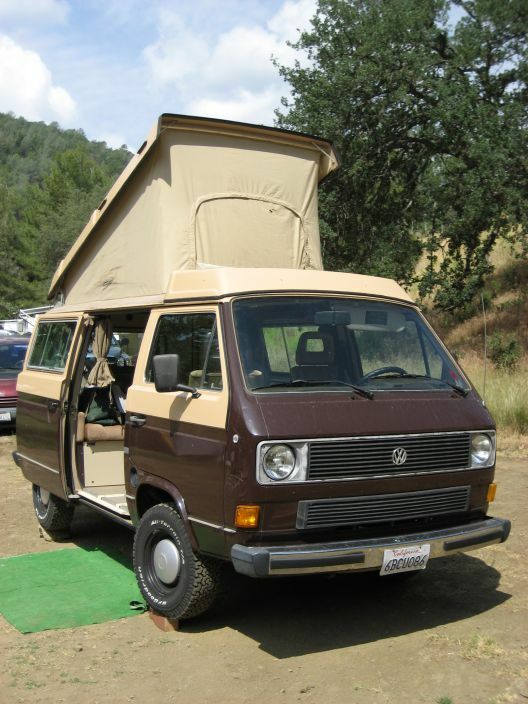 It's a 1984 Volkswagen Vanagon GL Westfalia Wolfsburg Edition, with a 135 HP Subaru EJ22 engine transplanted into it so we can go up hills like normal people. 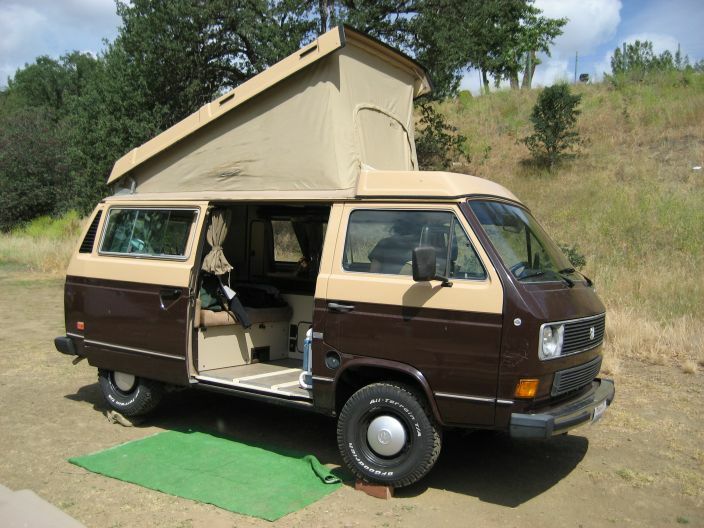 The vanagon is running an EJ22 engine from a 1990 Subaru Legacy. The EJ22 is a boxer (opposed twin) engine, legendary for its simplicity and reliability. The conversion was done using a Kennedy Engineering (aka KEP) adapter kit. Here are some informational pages on repairs and modifications. Here are some of the other mods that have been done to it.